Sometimes you just feel a little crafty. You know you have a project in you, but where do you start? Whether you are about painting, sculpting, or model trains, Delaware has a place for all of your art & crafting needs. So, from cake decorating to custom framing, fine-tune your techniques and hone your skills as we set off to find the best craft stores in Delaware! At Dover AFB Arts & Crafts Center you will find a framing and graphics shop featuring custom framing, engraving, vinyl graphics, lamination, and custom silk screening services, as well as pottery classes, kid’s nights, home craft, Canvas and Coffee, and so much more. However, this excellent resource is exclusive to active and retired military, their families, and Dover Air Force Base employees and their families. This hobby shop features friendly customer service and a huge selection of new and vintage toy trains. In addition to model trains, though, you will also find build-your-own rockets, remote control cars or helicopters, and plastic or wooden toys for all ages. Moreover, Seaside Hobbies stocks, paints, brushed, and all the supplies you will need to support your model car habit. Family-owned and operated, Finley’s offers high-quality custom framing and fine arts supplies. And, with nearly 50 years of experience, you know you will find only top-notch paints, artwork, canvases, and even needlework supplies. The owner, Russell Lee, is a professional artist himself, and he lets his love for the craft to show by offering only the best tools and products. Jerry's Artarama is one of the largest art shops in Delaware, and you will find high-quality oil, acrylic, watercolor, and gouache paint, as well as drawing and drafting supplies. The Artarama also carries sculpting material, custom-stretched canvas, 26 lines of brushes and top art brands like Winsor & Newton, Rembrandt, Charvin, Matisse, and more. At Your Creation Station, they have a saying: “just bring your hands...we have everything else.” Established in 2008, this craft store and open studio offers paint-your-own pottery, fused glass, canvas painting, fused glass, and tie-dye classes and workshops. You’ll find instructions for adults and kids of all ages, and, what’s more, there are Fairy House and Windchime project, as well as regular fundraisers for various children’s organizations. When you have to go to a retail chain for crafts A.C. is not a bad choice. In addition to rock bottom prices, you’ll find a great selection of items in stock, including arts & crafts supplies, custom framing, and seasonal decor. Plus, check out deals, demos, and more, all from a store that got its start in 1985 just over the border in New Jersey. This is store is a crafter’s heaven! The selection of yarn here will blow the roof off other craft stores. Offering the best yarn they can possibly find, you’ll see luxury had-dyed yarns, natural fiber yarns, washable yarn suitable for babies, and plenty more. Whether you are a first-time knitter or a you do expert crochet work, this store has the tools and service to meet everyone’s needs. There are frequent events bringing the crafty Delaware community together, so be sure to check out their list of upcoming events! Being the largest complete needlework store on Delmarva, Sea Needles meets all the expectations and then some when it comes to a craft store. Not only do they carry everything for someone who knits, crochets, does needlepoint, or anything along those lines, but they also double as a framing store. 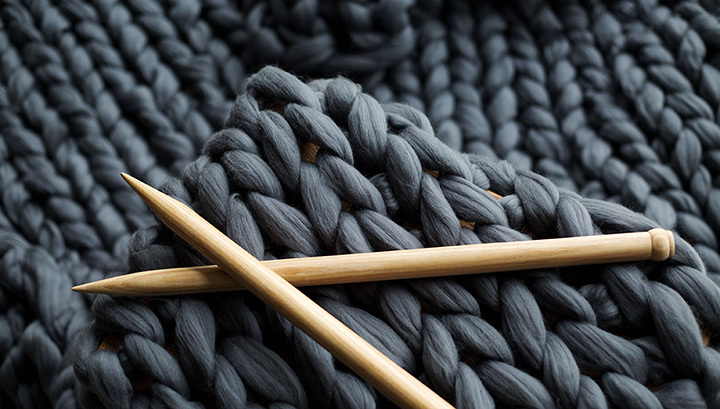 If you are looking to jump into a new skill, they offer knitting/crochet clinics every Tuesday! Find a variety of yarns, patterns, tools, and frames at this lovely Bethany Beach locale.